The publication of A Pennine Childhood by Brenda Wallis Smith! 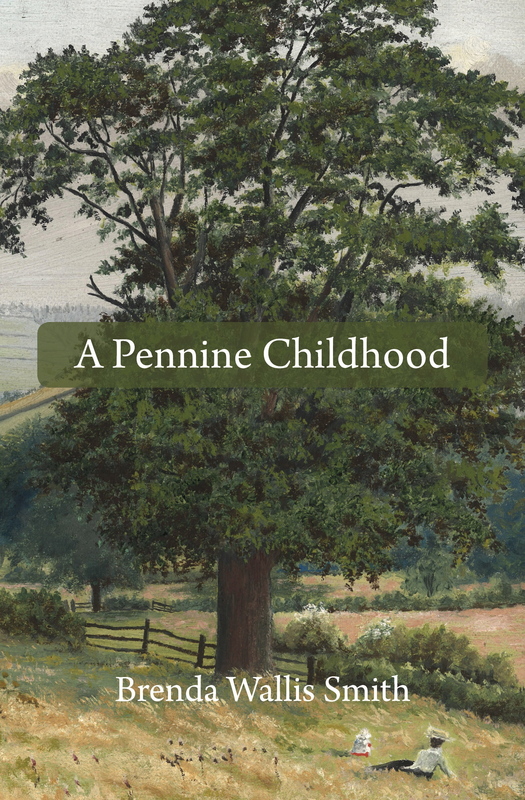 I am absolutely delighted to announce the publication of the memoir and e-book, A Pennine Childhood, written by my mother, Brenda Wallis Smith! My mother draws a vivid picture of the Derbyshire countryside and the Derwent Valley, with its rich history that included Sir Richard Arkwright, Florence Nightingale, and Alison Uttley. It is here that her maternal grandfather and uncles worked in Matlock’s spas, on farms, and in local quarries, and her grandmother worked scrubbing the floors of the Royal Bank of Scotland in Matlock. Her paternal grandfather, John Bent Wallis, the son of a gardener, became, against all odds, an accomplished painter and the daily nature columnist for the Sheffield Telegraph. In A Pennine Childhood, the English countryside and its people come vividly to life. You may notice that the cover of the book is the painting done by my great-grandfather, her grandfather, John Bent Wallis, of the Derwent Valley about which I have written in this blog. (The little figure of a young child is my mother’s father). And, as you will see, she is a far better writer than I, and a wonderful observer of daily life. As they say in Derbyshire, I’m dead chuffed (really, really proud)! I hope you will read the book, or listen to the e-book! If you’re in Derbyshire, go to: Scarthin’s in Cromford, The Loaf Cafe in Crich, Bridge Gifts in Matlock (right by Crown Square and the bridge over the Derwent), Worth Books in Belper (top of King’s Parade), and Cromford Mills Gifts and Bookshop at Cromford Mills, Cromford. This is wonderful! I look forward to reading this. Memoirs are a favorite type of reading for me! Susan, thank you! I think you’ll enjoy this look at English village life in the first half of the last century!